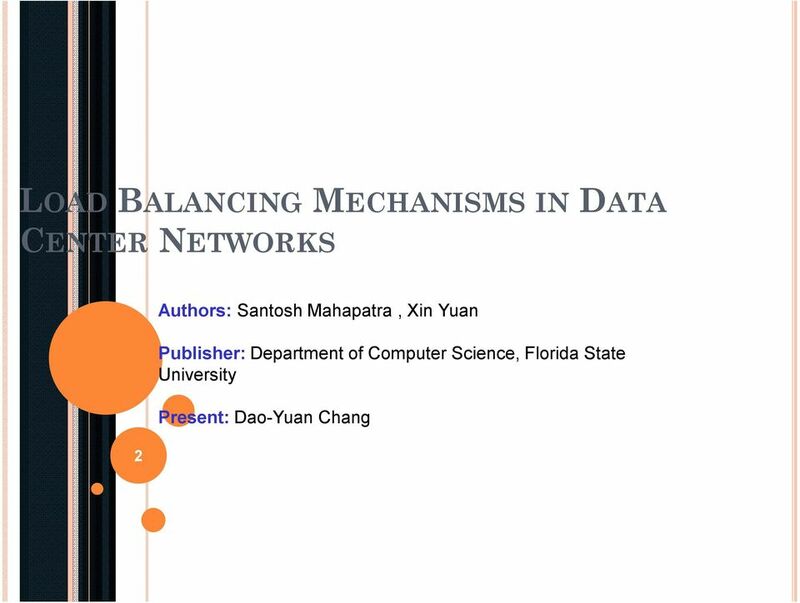 Download "LOAD BALANCING MECHANISMS IN DATA CENTER NETWORKS"
39 INTRODUCTION (1/3) The web has become the universal support for applications. Increasingly, heavy loaded applications. 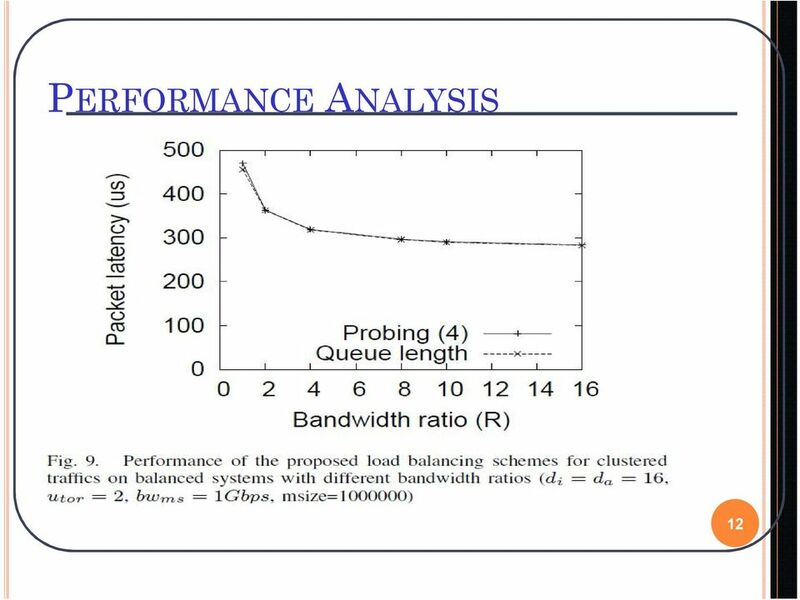 Good performance in these environments is the efficiency of the load balancing mechanism used to distribute client requests among the replicated services. 41 INTRODUCTION (3/3) DNS-based the Authoritative DNS (ADNS) of the replicated web server performs the role of the client request scheduler. 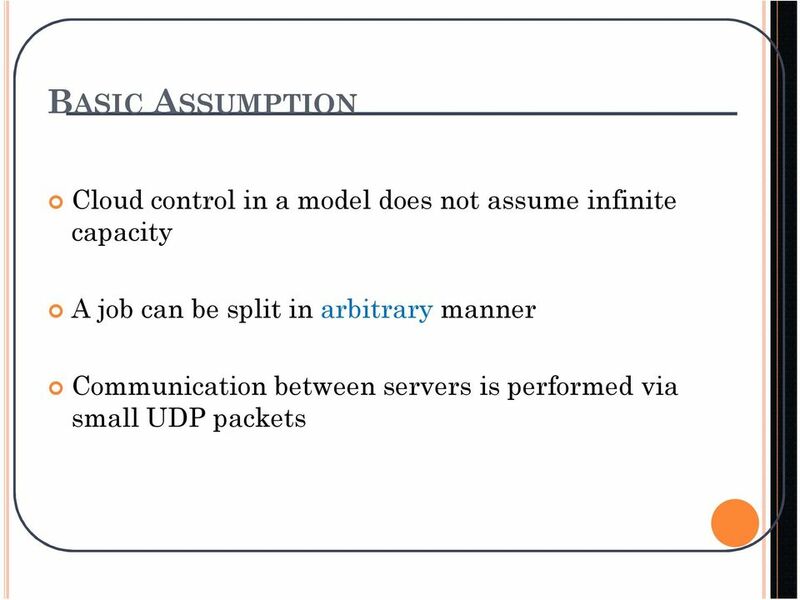 Server-based the load balancing policy runs in the server side. overloaded server replica can redirect requests to other replicas. Dispatcher-based a host placed between clients and server replicas receives all requests and forwards them to the appropriate replica. Client-based The client runs the distribution load policy and decides to which server it sends the requests. 43 RELATED WORK (2/2) Problem: none of the existing proposals focus on techniques that prevent redirected requests to overload the remote server. Our solution avoids this problem by 1. A new strategy based on limited rates of request redirection 2. A heuristic based on this mechanism that tolerates abrupt load peaks. Also tries to minimize the system response time considering the load status of the web servers and network latencies. 45 LIMITED REDIRECTION RATES (2/8) The main contributions of our work are: A protocol for limited redirection rates that avoids the overloading of the remote servers. 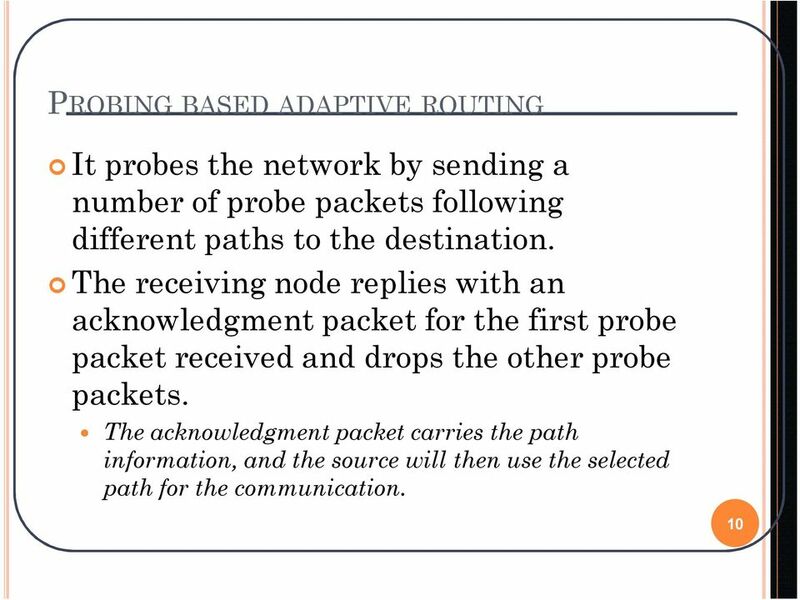 A middleware that supports this protocol and minimizes the response times of redirected requests A heuristic based on the protocol that tolerates abrupt load changes. 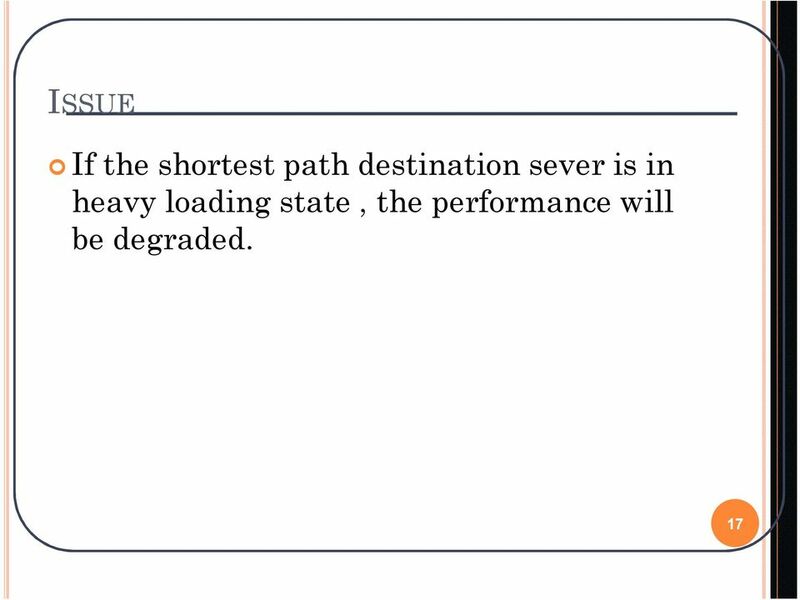 47 LIMITED REDIRECTION RATES (4/8) A middleware that supports this protocol and minimizes the response times of redirected requests Virtual Web Resource(VWR), middleware that allows web servers to share their resources web servers can assume two different states: Provider : Lightly loaded web servers that can share resources with others. 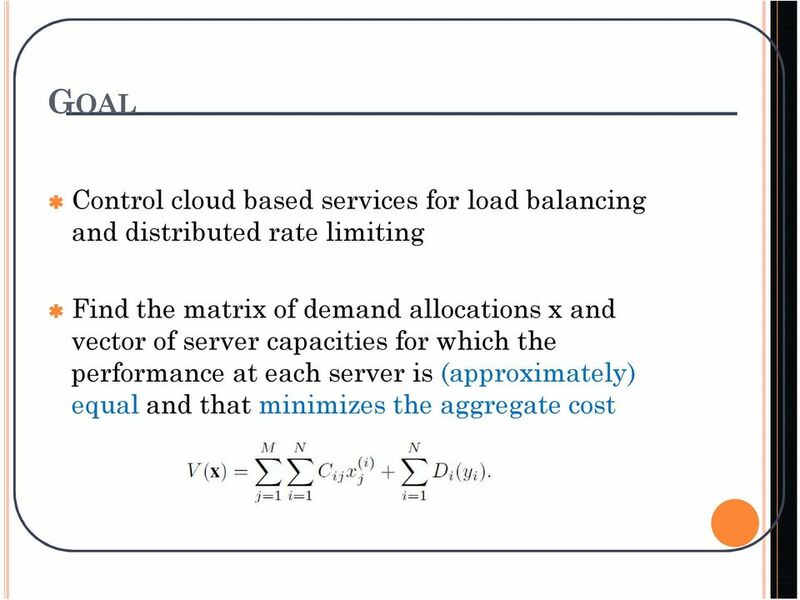 Consumer : Overloaded web servers that consume resources shared by providers. The VWR abstracts the location of the providers to the consumers, which see the resources shared by the providers as a single pool of remote resources. 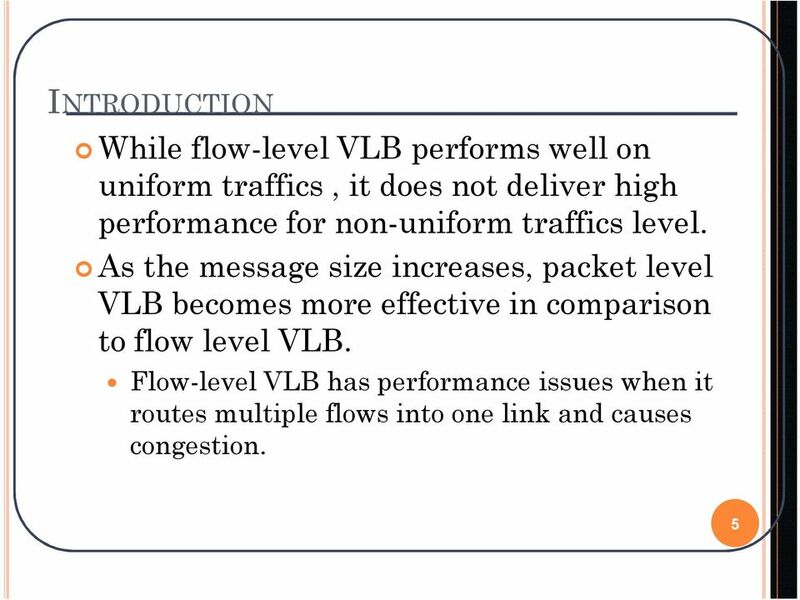 48 LIMITED REDIRECTION RATES (5/8) The middleware that implements VWR is composed of two software elements. 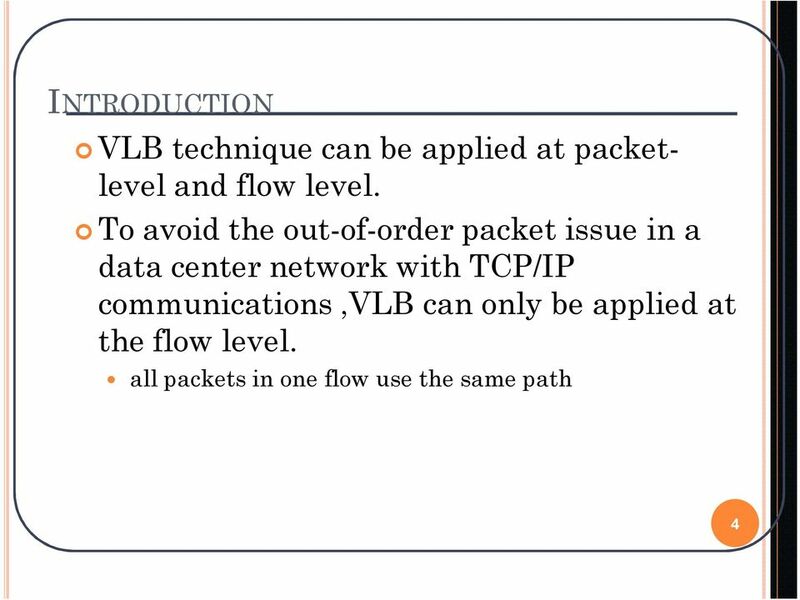 VWR-Master and VWR-Nodes. VWRMaster(core of the middleware) responsible for allocating virtual resources to the consumers and also for reallocating virtual resources when the status of providers changes. VWRNodes (software agents that run on every web server) They monitor the current load of the web server and communicate with the VRWMaster to offer local resources or to allocate virtual resources. 49 LIMITED REDIRECTION RATES (6/8) VWRNode interacts with the VWRMaster through the following messages: ReportLatencyTable : sent by VWRNodes to report the estimate of latencies among the local web server and the others. AcquireVirtualResources : sent by VWRNodes to request the allocation of an amount of virtual resources ProviderList : sent by VWRMaster to inform the list of providers that will provide the virtual resources to the VWRNode. ReportResourceAvailability : sent by VWRNodes to announce the amount of resources they are able to share or to update the value amount already shared. 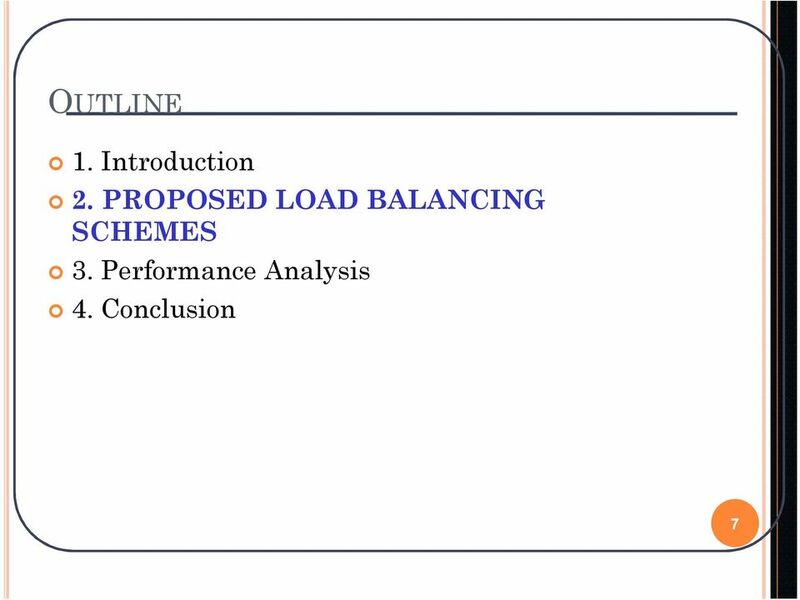 51 LIMITED REDIRECTION RATES (8/8) Load Balancing Heuristics The VWR middleware combined with some policy that decides when to redirect requests. The basic idea of this heuristic is trying to keep the local request queue shorter than a threshold. 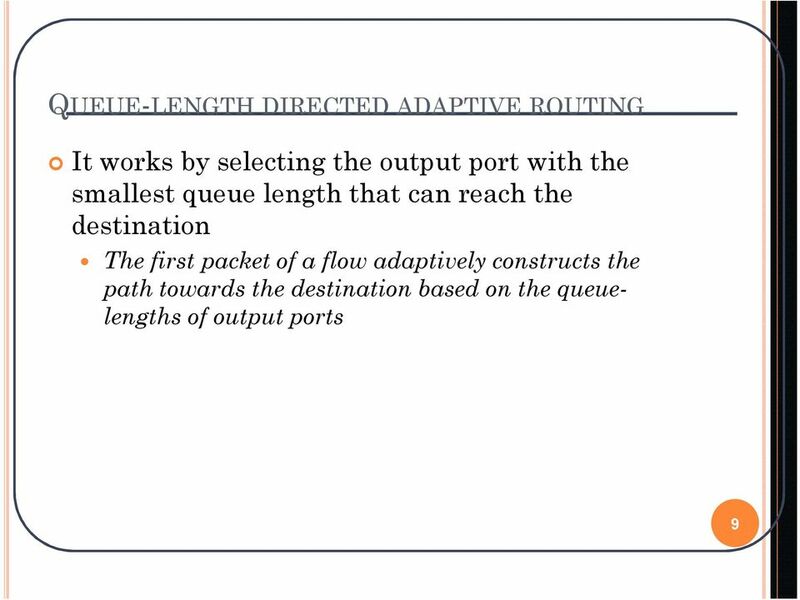 If a request needs to wait in a queue, it should not pay the price of a redirection latency. 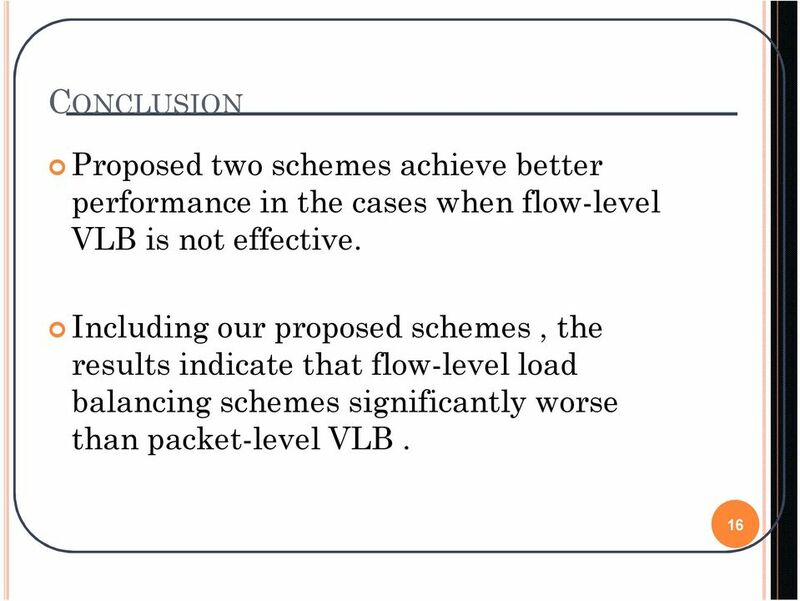 54 EVALUATION (3/4) Analyse in scenario 8 a frequency analysis shows that while 95% of the requests were responded in less than 0.14 s using LRR (Limited Redirection Rate), using RR and SL, the same percentage of requests were responded in 0.28 and 0.27s. 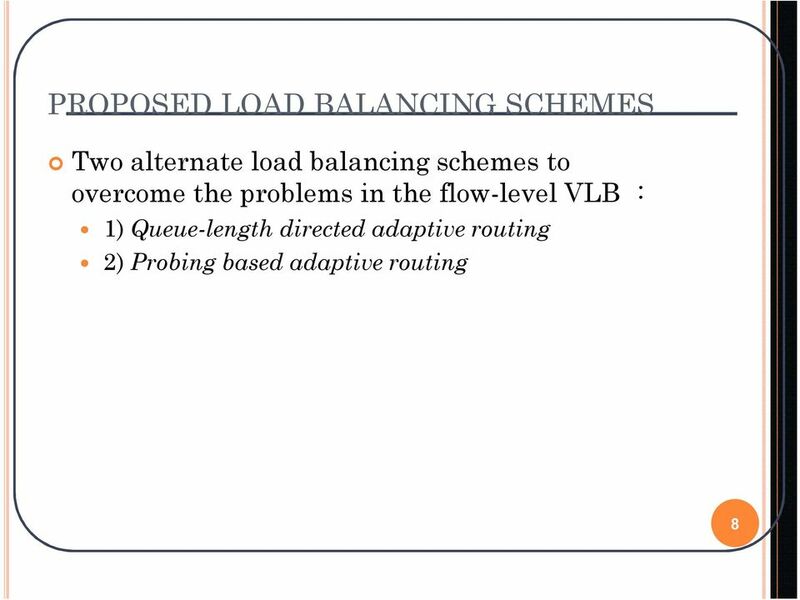 56 CONCLUSION We have presented a new server-based load balancing policy for worldwide distributed web servers. 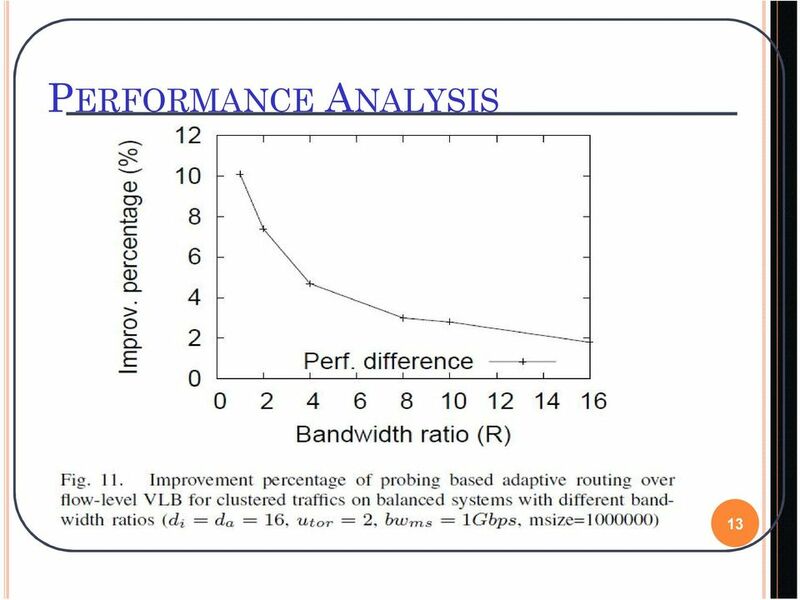 Our solution was designed on the basis of a protocol that limits the redirection rates, preventing such a problem and reducing response times compare with two other policies. Is it worth it? 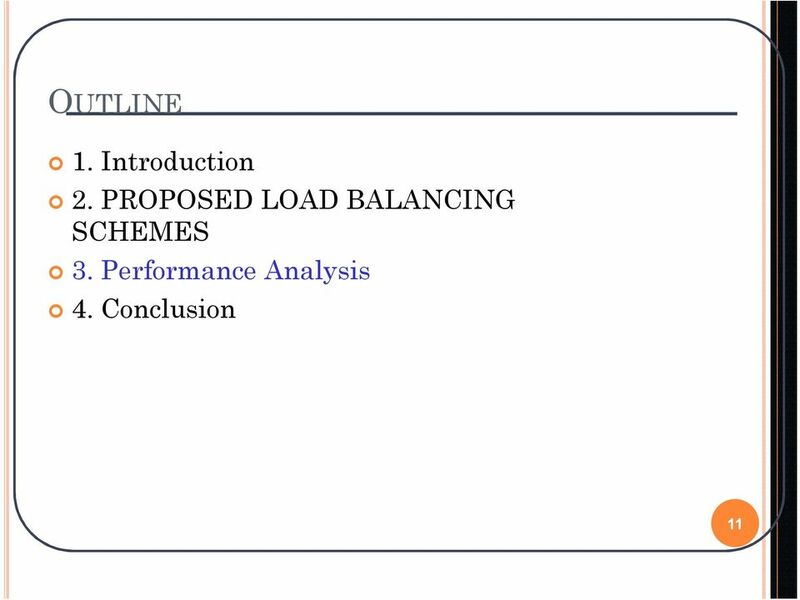 Self Reconfigurable Distributed Load Balancing For Secure and Privacy-Preserving Information Brokering. Quality of Service versus Fairness. Inelastic Applications. 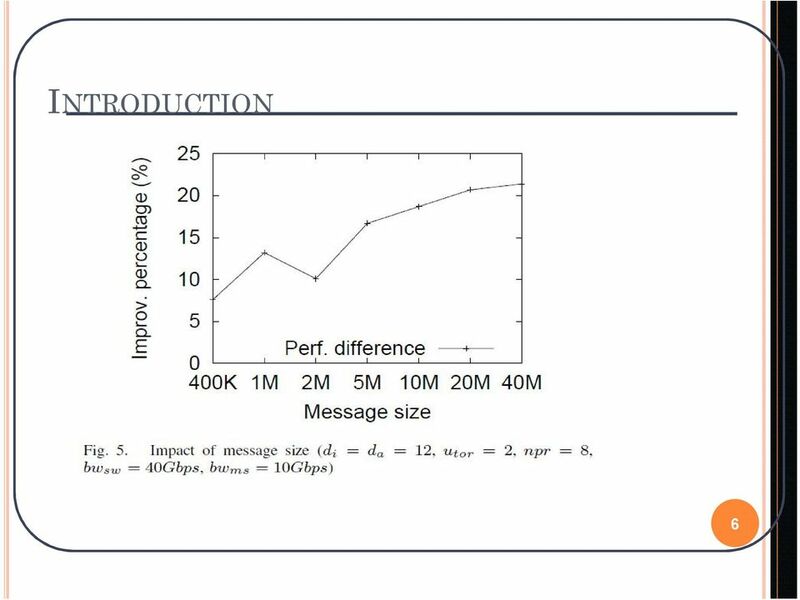 QoS Analogy: Surface Mail. How to Provide QoS? 5 Performance Management for Web Services. Rolf Stadler School of Electrical Engineering KTH Royal Institute of Technology. stadler@ee.kth. Scheduling for QoS Management Domenico Massimo Parrucci Condello isti information science Facoltà and di Scienze technology e Tecnologie institute 1/number 1 Outline What is Queue Management and Scheduling? 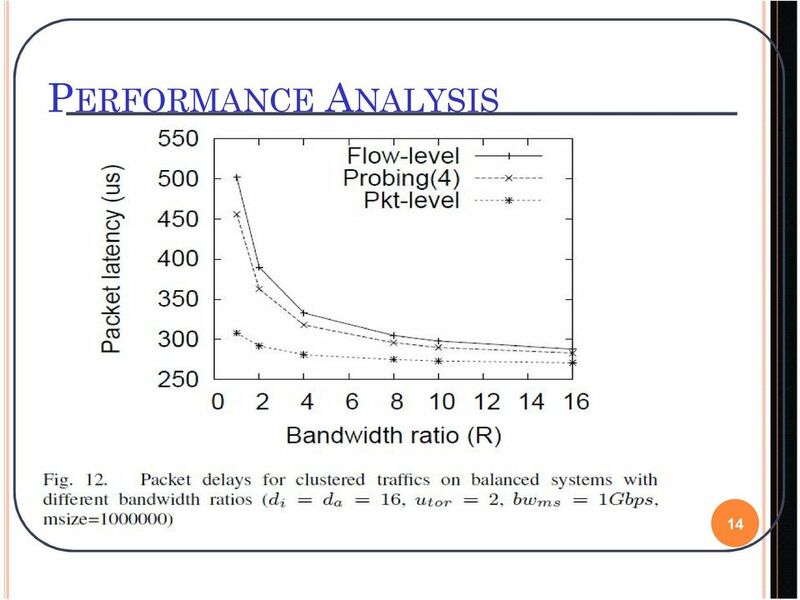 Horizon: Balancing TCP over multiple paths in wireless mesh networks Bozidar Radunovic, Christos Gkantsidis, Dinan Gunawardena, Peter Key Microsoft Research Cambridge, UK Wireless Mesh Networks Goals 1.